Hummus is one of the easiest dishes to make and so good for you. Instead of buying it in the store, make it yourself! This way you can adjust the seasoning perfectly to your taste. My friend Bart suggested using hot water. I go one better: hot bean water from freshly made beans (see Bean, Beans post.) 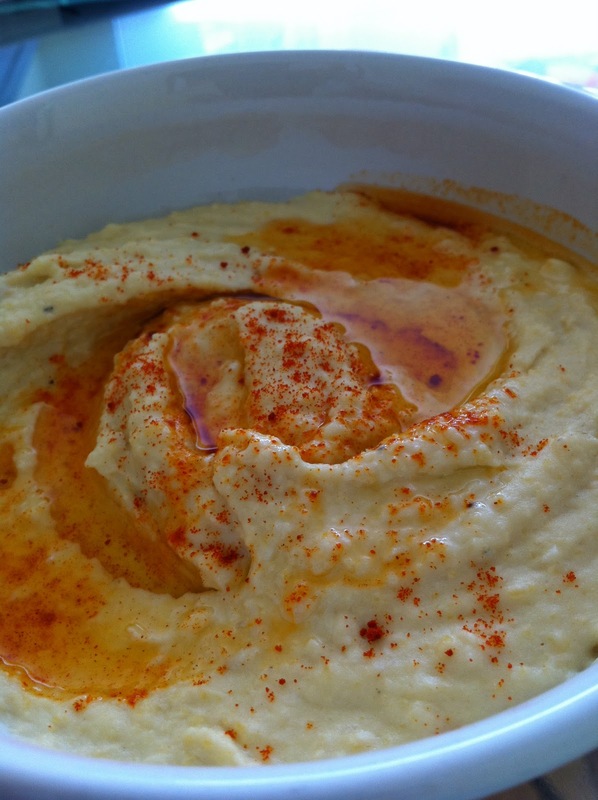 Here is my perfect hummus recipe. Place the beans into the bowl of the food processor. Add olive oil, hot bean water, tahini, salt, garlic or garlic powder, and lemon juice. Process. Taste and adjust seasoning. Pour into a serving bowl. Garnish with a splash of olive oil and a sprinkle of paprika. Enjoy with toasted pita chips, carrots, on a sandwich, by itself, etc. !